Make it comfy and cute in the Charcoal Knitted Longline Jumper & Leggings Set. This knitted co-ord set is perfect for casual days. 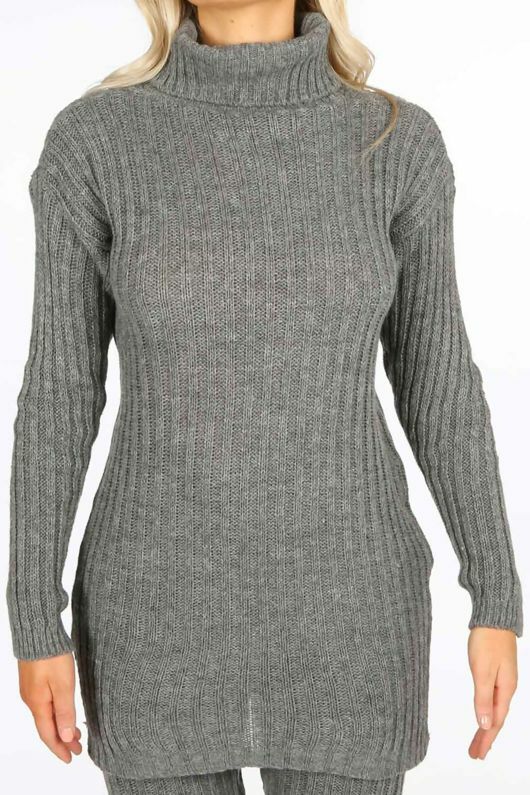 Sold as a matching set, the oversized jumper features long sleeves and a roll neck. The top and leggings are both made from a soft touch ribbed knit which is bound to keep you comfy. Keep the rest of your look simple and just add a pair of chunky trainers to nail an off duty look.